A127 SPECS - 90 percent funded by a private company. 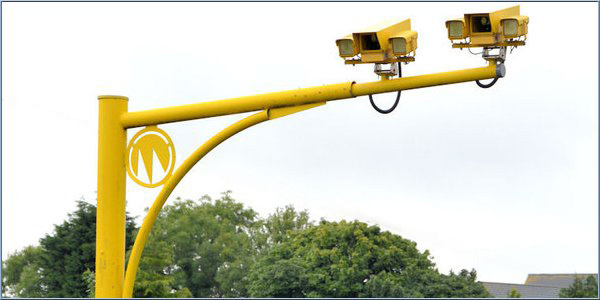 A Freedom of Information request to Essex County Council requesting the cost of the A127 Average Speed Camera installation has revealed something very interesting. In a reply from Elaine Appleby, Senior Road Safety Officer, the total cost of the average speed camera installation was stated as �455,086. But more interesting by far was the revelation that Essex County Council contributed only �39,860 of the total. The remaining �415,226 was paid by a company headquartered in the area, Keymed Ltd.
Quite why a private sponsor is being used to fund speed camera installations isn't explained but this does raise a number of questions which we will endeavour to obtain answers for. What next, Redlight cameras sponsored by Brembo? Perhaps we'll see speed cameras covered in advertising or sponsor logos as some already are in Dubai? Googling Keymed HERE shows the connection with Olympus high speed video cameras. "Video images are digitally captured onto its memory with custom designed software that provides the operator with the ability to analyze and enhance images. Velocity and distance measurement can also be calculated." Perhaps by sponsoring they get to sell the cameras? Why not contact them and ask, should be good to see their response. "KeyMed is now one of Britain's largest medical equipment companies, having core technology skills in optics, programmable and digital electronics, ultrasonics, precision mechanics and thermo-plastics. KeyMed has been actively involved in funding and supporting road safety initiatives over the last twenty years, working with the Department for Transport, Highways Agency, RoSPA, Driving Standards Agency, Brake, Learn & Live, RoadPeace, Transport for London and many other organisations." Yes, I've since been told that Keymed have sponsored a number of Road Safety projects in the area. Apparently the MD witnessed a fatal and has since become a crusader for road safety. No issue with that of course but I am uneasy with the prospect of sponsored or part private finance speed camera installations such as this. Withjout knowing the exact financials, but nearly half a million for a speed camera seems a bit excessive to me. Is that cost correct ?? It's a SPECS System, a whole zone of average speed cameras so rather more than just one. I endured the M25/A127 to Southend yesterday and discovered a number of issues further to our previous discussions. Firstly, TomTom's data concerning many of the speed limits are wrong, for example, speeds posted as 70 are in fact 40 (around Leigh heading west). Do they ever get updated I wonder? The two GATSO cameras halfway down the A127 at High Road North that were covered up and marked with a red cross on our database are now uncovered, one either side of the former roundabout by High Street and High Street North. Finally the speed limits given for SPECs on the eastbound M25 at Bell Common heading into the tunnel going west on the M25 are now wrong. They seem to be rejigging the 50 and 40 areas, so everyone should watch out. Coming back down there late last night proved to me that the 40 limit is purely a money raiser. It must be a nightmare for the people who check out these cameras if the Essex Police are anything to go by: my heartfelt thanks to them all.